Personalized Wine Barrel Pet Bed Small . 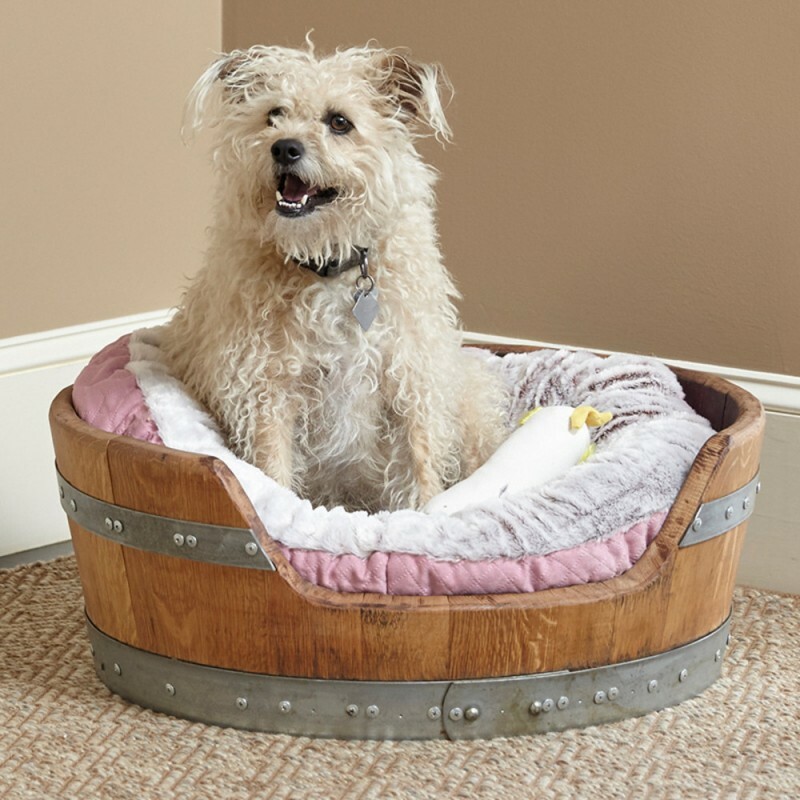 Handcrafted from reclaimed white oak wine barrels, this unique animal bed is perfectly sized for small pets. Includes a choice of personalized plaque in the shape of a dog bone (shown) or oval. Cushion is not included. Please note: Barrels can differ slightly in size and color. This product is made from authentic recycled barrels. The photo and specs may differ slightly from the product that you receive. Pamper and indulge your pet with this authentic wine barrel pet bed.